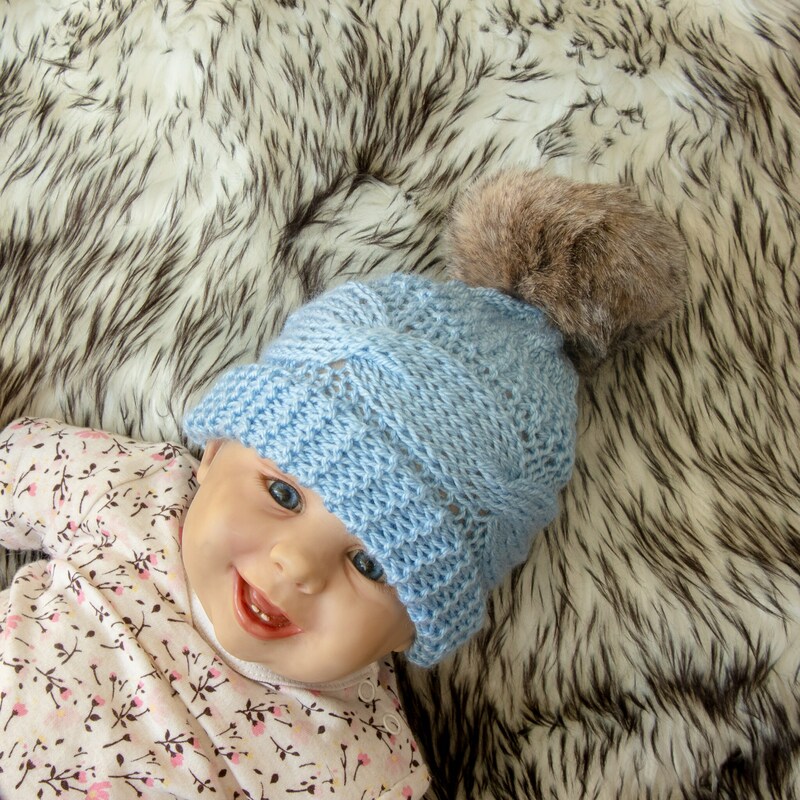 These hand knitted baby boy hat and booties with fur pom-pom are warm and cozy. 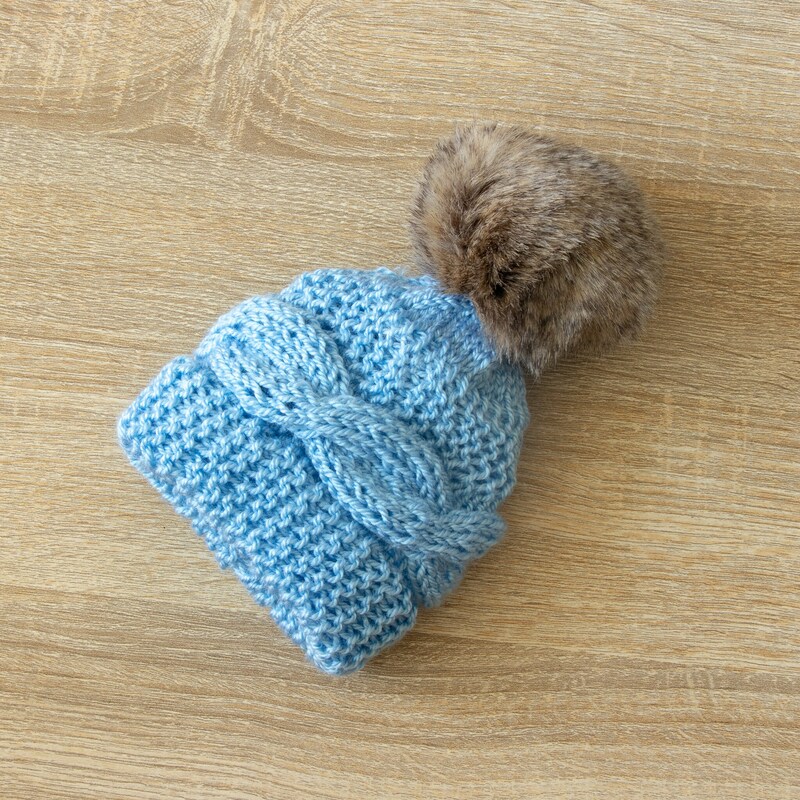 Made with a soft acrylic yarn (super soft, NO itchiness!). They make a unique gift for baby shower. Love it!! I'd buy it again and again! Thanks so much! !